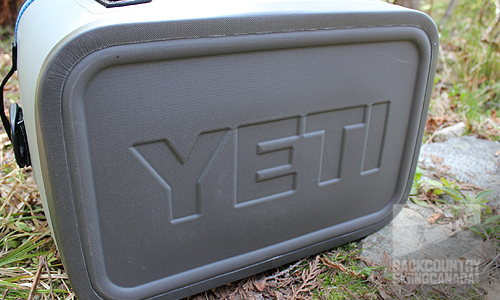 Yeti is all about doing things right without any compromises. In addition to keeping your beer cold, their products are also tough, innovative and use only the highest quality materials and construction. The Yeti Hopper Flip 18 is no exception and for these reasons (along with many more) it's why it has won our Gear Of The Year Award. 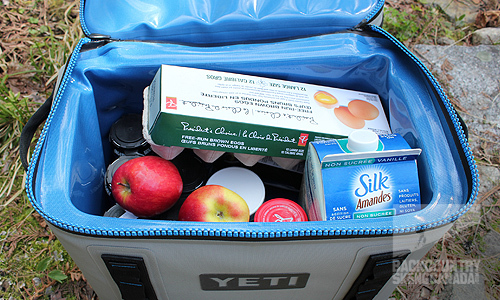 Last Spring we reviewed the Hopper Two 30 Cooler from Yeti and were impressed, so this time around we decided to take a closer look at another of Yeti’s soft coolers, this time it’s the Hopper Flip 18. While these two coolers share the same construction and materials, their design is radically different with the Hopper Flip 18 being a more traditional top-loading cooler. There are four sizes of Hopper Flip coolers available, the 8, 12, 18 and 24 versions. 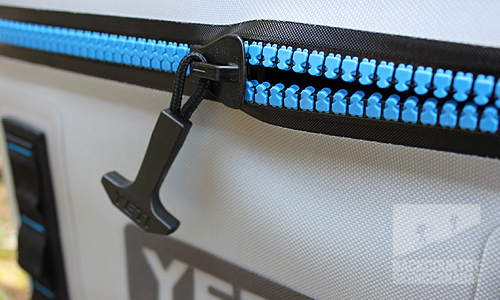 In typical Yeti style the Hopper Flips are rugged as hell and of course, keeps your food and bevi’s colder longer. 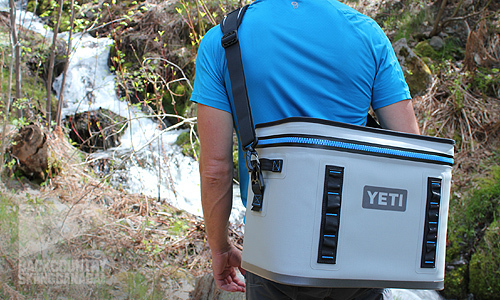 Waterproof and durrable means the Yeti Hopper Flip 18 is ideal for any water adventure. 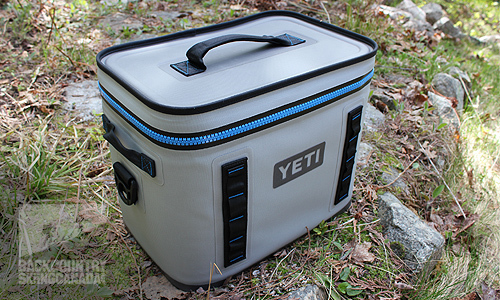 The entire Yeti soft cooler line-up features durable Dryhide Shell construction which is waterproof and resists mildew, punctures, and UV rays. Inside, the liner is made from an FDA-approved food-grade material with RF welded seams. The Insulation power comes from Coldcell Insulation which is a closed-cell rubber foam that provides a superior chill factor over your standard coolers. On the outside, the durable and leakproof Hydrolock Zipper is solid and secure so any ice melt stays in and river water stays out. With a wide mouth top opening, access to your favourite bevi’s is fast and convenient. The cube design of the Hopper Flip 18 is efficient for packing in the back of your car where space may be limited or simply tossing in the box of your pick-up. With HitchPoint Grids found on two sides of the Hopper Flip 18 there’s adequate lashing points to secure it to your sup, canoe or off-road vehicle. 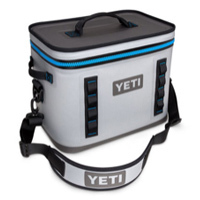 You can also purchase Yeti’s Molle Bottle Opener which conveniently affixes to the HitchPoint Grid. The double stitched handles on the side and top of the Hopper Flip 18 are perfectly positioned for carrying the cooler but if you have a distance to travel then the included shoulder strap will make things easier. Its ergonomic design and padded strap make it comfortable while the fast clips let you attach it instantly. The Yeti Hopper Flip 18 was made for the water. Dryhide™ Shell: Waterproof and resistant to mildew, punctures, and UV rays. The liner is made from an FDA-approved food-grade material. 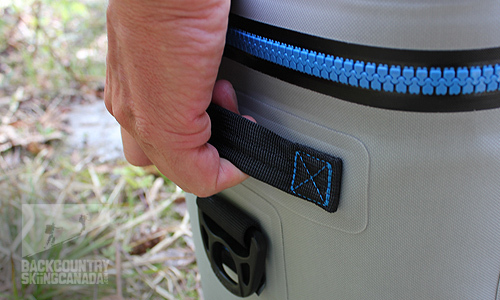 Hydrolok™ Zipper: The toughest, highest-performing waterproof and leakproof cooler zipper. 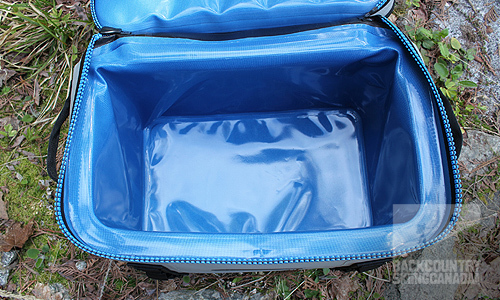 The Hopper Flip 18’s cube shape design was intriguing to me after using the more non-traditional Hopper Two 30 Cooler with its side zip that can prove tricky to get in and out of. The wide mouth opening on the Hopper Flip 18 allows for better access to all your goodies inside. 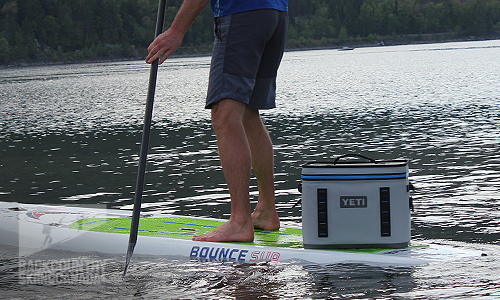 While both soft coolers offer up Yeti’s renowned durability, cold retaining insulation and water-tight Hydrolock Zippers, the Hopper Flip 18 fit solidly on the back of my paddle board as it had a lower centre of gravity and a more square shape. While it’s volume is less than that of the Hopper Two 30 Cooler, the 18 provided enough space for a weekend paddle trip for two and if it didn’t then there is always the Hopper Flip 24. While the Hopper Flip 18 is about $50 more expensive than the competing version from Pelican, the Hopper Flip 18 does have a top handle which I find is a must have for grabbing and hauling it. The Hopper Flip 18 also doesn’t require fast clip straps over the zipper like those on the Pelican 24 Can Soft Cooler, which provides faster access to the interior. The only down-side of the Hopper Flip 18 is that I wish it had a built-in bottle opener. 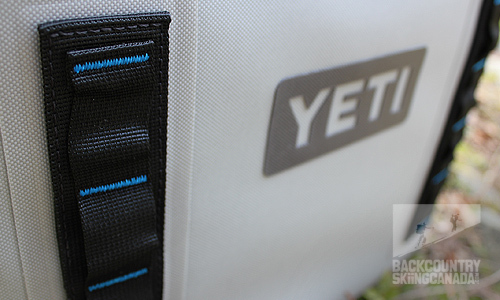 If you are already a Yeti fan and want to know more about there other products then give our review of the Yeti Panga 100 Duffle Bag a read. You’ll learn how they take their rugged, durable design and apply it to a dry bag. Single handed carry handle on top. No built in bottle opener.